Celebrate Leonardo da Vinci with us and stay in our hotel near the Central Station of Milan, for a weekend dedicated to culture! One of the events in Milan not to be missed, within easy reach for all the guests of Hotel Mediolanum! Many events, shows and exhibitions await you for nine months – from May 2019 to January 2020 – in which you will be able to discover the potential of such a universal and eclectic artist. The link between Milan and Leonardo da Vinci is very ancient, due to the many years of artistic collaboration with the duke Ludovico il Moro, belonging to the Sforza family. 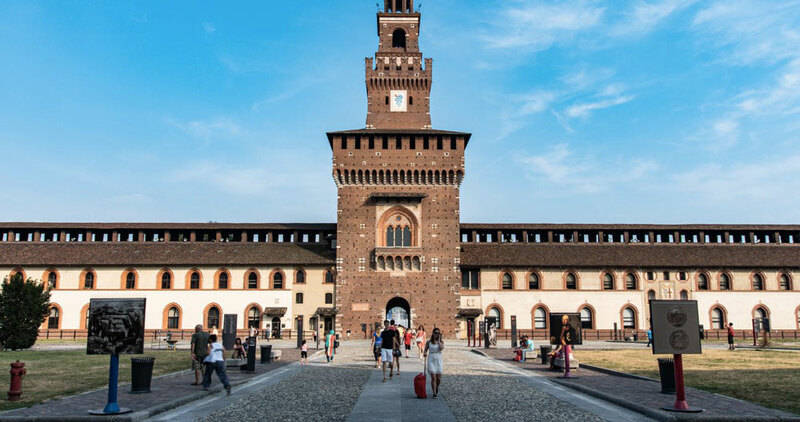 For the occasion of the 500 years from the death of Leonardo, Milan celebrates the artist with initiatives of great interest all around the city, but mostly at the Sforzesco Castle, where, on May 2nd, the “Sala delle Asse” will be reopened with the original frescos of the artist. Always at the castle, of great importance is the exhibit “Leonardo e la Sala delle Asse tra Natura, Arte e Scienza” and the multimedia journey into the Milan of Leonardo, in the XV century, still enjoyable in the building, in the museums’ rooms and in the places around the city. In 2019 Leonardo in Milan keeps on being naturally represented by the Last Supper – that we really suggest you to visit – but also by the exhibits in Palazzo Reale and at the National Museum of Science and Technology, dedicated respectively to nature and engineering, seen through the eyes of the Master. All over Milan you will find evidence of the influence of Leonardo on painting, writing, biology, that you can see through manuscripts, drawings and portraits, and also seen his thoughts and words represented at theatre, with original scripts based on his words, at the Piccolo Teatro of Milan. 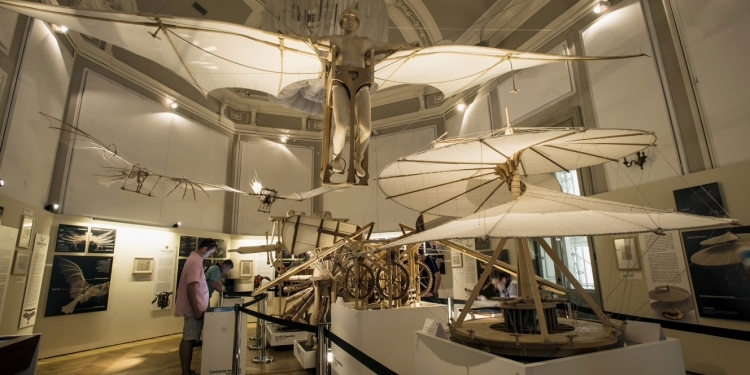 It is interesting how, looking at the work of Da Vinci, you can also learn about the history of Milan and its territory – just think about the system of the Navigli, original idea of Leonardo – offering everyone the occasion to learn more during the stay in the city. Treat yourself with a fun and relaxing cultural weekend in Milan, celebrate the Genius of Renaissance with us booking your room for the occasion in our hotel near Milan Central Station! Hotel Mediolanum is located near the Central Station of Milan where you can fin the subway that in few minutes will lead you to the Cadorna stop, perfect if you want to visit the Last Supper, Castello Sforzesco, and the Museum of Science and Technics. plan your trip for the event! Stay in our hotel in Milan for the Bansky exhibition! Booking from our Official Website is convenient!